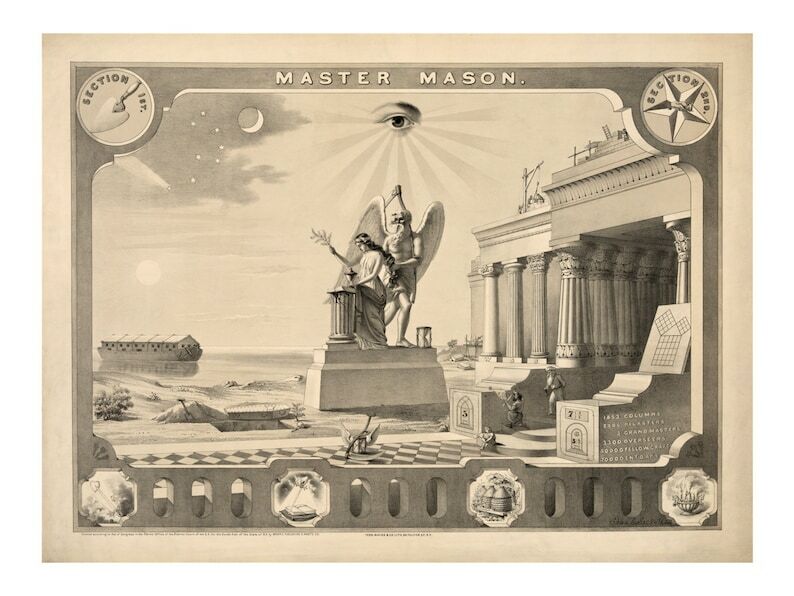 Behold this beautiful "Master Mason" lithograph published by Mayer & Co. of New York, featuring a monument of the Weeping Virgin and Father Time before a broken column. This print is a highly detailed scan of an original published print and is truly an amazing image perfect for framing! 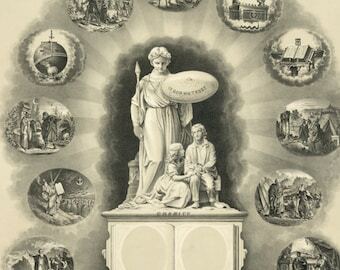 This image has been digitally retouched and repaired as necessary, while leaving the foxing, wear, and creases that lend to the intrigue of these old works. This giclee quality art is printed on heavyweight matte archival / acid-free museum quality stock with lightfast inks rated 100+ years. No watermark will appear on your print. The artwork is printed with a surrounding white margin (included in print size) to aid in framing/matting the print. Your purchase will ship priority mail (US) in a protective kraft tube made from 70-100% post-consumer recycled content and up to 30% secondary recycled content. Given the nature of vintage artwork created before the standardization of print and frame sizes, this item may not conform exactly to the dimensions you choose. To allow for the odd sizing of these images they are printed approximately 2 inches smaller than the paper they are on. This way you receive a standard size, with a white surrounding border that allows for easy framing, with or without a matte.